I spent over $20 for my five year old son’s first tie and he only wore it twice. I won’t make that mistake again because I recently discovered Tiecoon.com which has inexpensive ties for boys and young adults in a wide variety of colors and styles. In fact, the price of all of Tiecoon.com ties for children is only $5.00! I was very impressed with the quality of the boy’s tie that I received for this review and it is certainly comparable for the much more expensive tie that I had purchased previously. I liked that you can purchase the same tie for both youth and in the adult size which makes for a great matching family photo at the holidays or for a special event. There are so many colors and styles to choose from that there is sure to be the perfect match for any occasion. Tiecoon.com is a leader not only boy’s ties but men’s ties and neckwear too and of course the price is right at only $5.00 per tie (extra long is $8.00 and silk ties are $10.00). I appreciate that the tie that I reviewed does not scrimp on quality and will make a nice addition to my son’s formal wear collection without breaking our budget. The boy’s tie is 48” and has a full matching loop on the back. The tip lining is embroidered with the Jon VanDyk “hand made” name label. You are invited to visit Tiecoon.com to purchase all of your neckwear needs for children and adults. 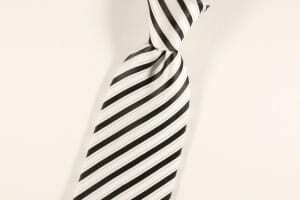 My favorite tie from the site is the EXTRA LONG Men’s neck tie with blue, navy blue, striped/stripes, design. #J717 XL. My favorite tie is Funky purple striped tie.